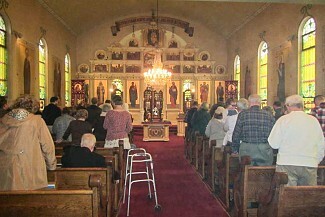 On March 24, St. Michael’s Orthodox Church in Mt. Carmel held Vespers at 4 PM and then provided a Lenten Dinner. Parishioners attended from several local parishes including, Minersville, St. Clair, Frackville, Coaldale, Shillington, Lykens and Williamsport. Father Ignatius Hunter, Rector of St. Michael’s, was joined by Father Seraphim Reynolds, Father John Onofrey, Father Mircea Airinei, and Father Joseph Ramishvili. Father Michael Rachko attended the service. 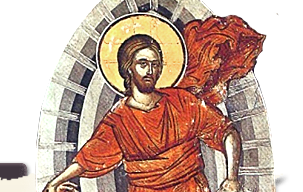 Following Vespers Sunday evening on March 24th, St. Michael’s Orthodox Church in Mt. Carmel provided a Lenten Dinner. Many local parishes enjoyed the fellowship.